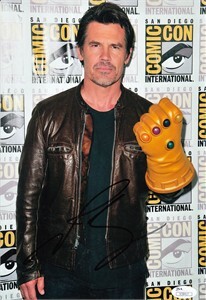 9x12 inch photo of Josh Brolin wearing the Thanos Infinity Gauntlet at 2017 San Diego Comic-Con appearance, autographed in black Sharpie. 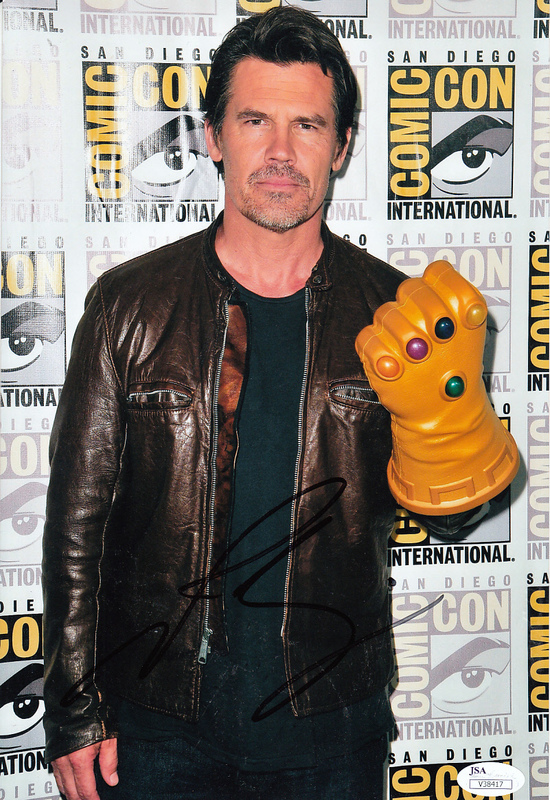 Obtained in person, with photo of him about to sign this exact photo, authenticated by JSA with their matching numbered sticker and certificate of authenticity card. ONLY ONE AVAILABLE FOR SALE.